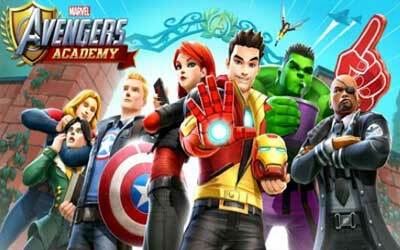 Previous version MARVEL Avengers Academy 1.15.0.1 apk for Android will help you to downgrade or install older app easily. This is one of the best Adventure apps. Battle Maestro and his post-apocalyptic minions! Unlock Captain America 2099, Noir Thor, Bucky Barnes, Longbow, Keeper Murdock, and more!